CTA provides top-notch project management and maintains the highest level of quality control by leveraging the efficiencies of information technologies like web-based document sharing, building information technology (BIM), and other collaborative project management solutions. 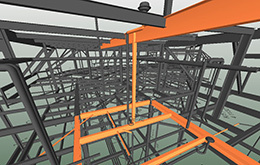 BIM allows us the ability to construct a 3D digital model as a means of visualization and a tool to facilitate coordination among subcontractors and vendors. There are many advantages to BIM. 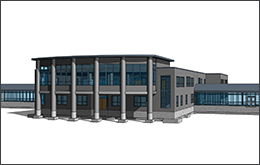 In the early planning stage, BIM is a useful tool for programming, existing condition analysis, site utilization planning, cost estimation and phase planning. 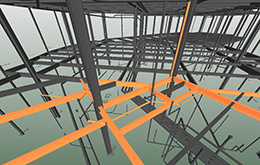 It also aides in design development and review, and allows us to detect any potential “clash” in structural and MEP systems before construction begins. Furthermore, energy analysis can be conducted, and when the project is complete, the model can be used as a comprehensive record of “as-builts” to facilitate owner’s building maintenance program.